Create a professional WordPress, BuddyPress or WooCommerce site within minutes. Perfect for your next blog, shop, magazine, social network or portfolio site. 3 customizable sliders. Flux Slider with 3D effects. 3-columns widget homepage. Advanced theme options help you to customize every detail quickly. Plus tons of widget areas and 2 custom WP 3.0 header menus. 2 predefined color schemes (light, dark) with clean and browsersafe CSS design to start from. 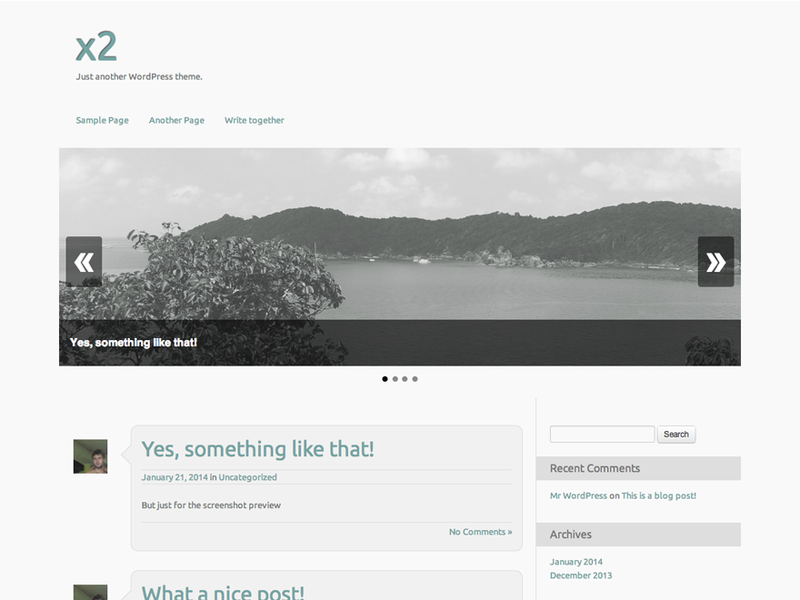 Handy premium extensions and professional support by the theme authors available at http://themekraft.com. Thanks for using x2 – Happy Creating!